Nespresso Sale: When are Nespresso machines on sale? I purchased a Nespresso Lattissima two years ago and I haven’t questioned the purchase once. Okay, I questioned it once — two months after I bought my magical espresso machine, Nespresso threw a sale on their machines. One that would have saved me $100. So being the caring citizen that I am, I want to inform all my internet friends when they can expect the next Nespresso machine sale based off past sale dates. Nespresso seems to always have some type of specials going on. Whether it’s discounted Nespresso pod, limited editions, complimentary gifts when you buy sleeves, and free shipping offers, but do they ever have Nespresso machine sales or discounts? In short, yes, but Nespresso doesn’t hold very many sales in-store (if you even have a store nearby – Nespresso has only 35 stores in the United States) and when they do, sometimes it’s not a straight up dollar savings as opposed to “credit” toward buying their capsules. Seems like the big dollars-off sales (25%) happen during the week of Thanksgiving and Father’s Day. 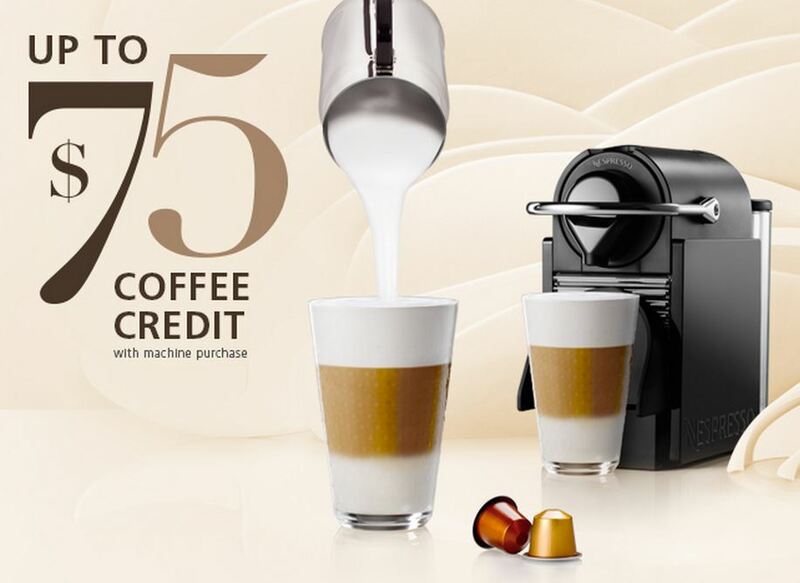 The last promotion that Nespresso had on their machines was back in January 2015 from the 2014 holiday season. Prior to that, Nespresso had an actual “sale” for five days. 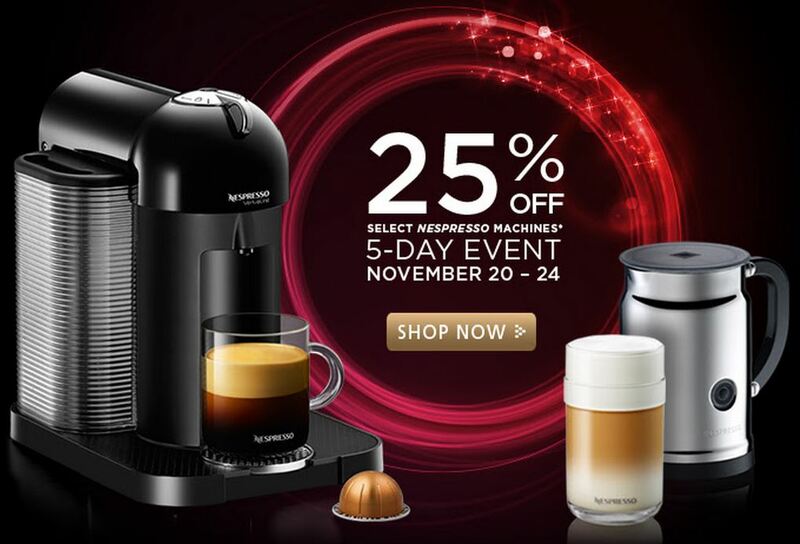 From November 20-24, one could purchase select Nespresso machines discounted 25%. Nespresso Machine Sale in November 2015? 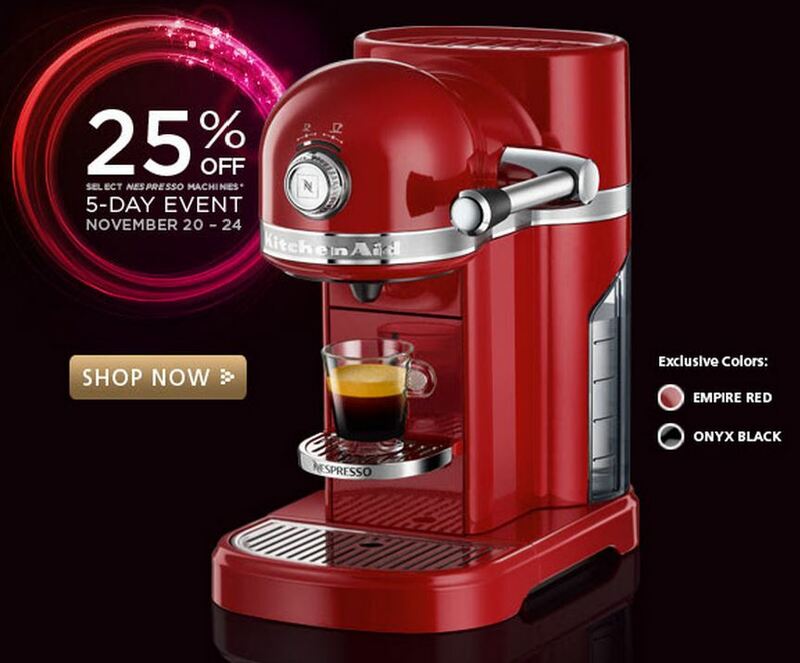 If 2013 and 2014 are any indication, then Nespresso will have a five day sale during the big holiday season in which you can get a Nespresso machine for 25% off. Last year, the event went from November 20-24th and in 2013 they ran the same promotion from 21-25th of November. So if you’re looking for a Nespresso machine around Thanksgiving time, you might want to wait to see if this sale will happen again in 2015. You can get a Nespresso machine at many big name retailers such as Williams-Sonoma, Target, Crate & Barrel, Best Buy and Bed Bath & Beyond. 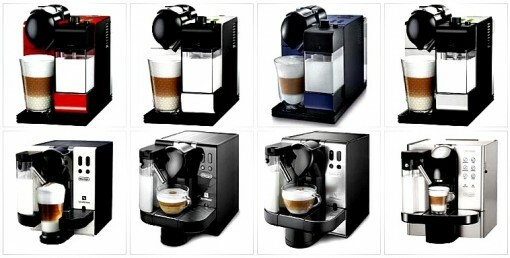 You can also purchase their machines at Bloomingdales, Macy’s and Sur La Table and also pick up Nespresso pods. For example, I subscribe to Crate & Barrel’s email newsletter, so I was able to see that they had a “Wine&Dine” sale from March 19 through April 4th for $100 off any Nespresso “coffee-espresso” Makers. In any case, Nespresso machines are worth the investment at full price, but even more valuable if you can get a machine at a discounted price.